The Inside Scoop Online: Let's Hang Out Tuesday Night at the NNO BLOCK PARTY!!! The Inside Scoop Online is an internet source of information, news, and commentary on a wide variety of national, state, and local topics serving the Delta region based in Helena-West Helena, Arkansas. Let's Hang Out Tuesday Night at the NNO BLOCK PARTY!!! National Night Out -Aug 2nd at 6:00 p.m.
Tuesday night is "America's Night Out Against Crime." The National Night Out (NNO) program is a nationwide program which had over 37 million people to participate from 15110 communities and all 50 states last year. Helena-West Helena was one of those communities. The National Association of Town Watch (NATW) is a nonprofit, crime prevention organization which works in cooperation with thousands of crime watch groups and law enforcement agencies throughout the country. Since 1981, NATW has been dedicated to the development, growth and maintenance of organized crime and drug prevention programs nationwide. NATW's network has grown to include over 6,500 crime, drug and violence prevention organizations. National Night Out, 'America's Night Out Against Crime,' was introduced by the Association in 1984. The program was the brainchild of NATW Executive Director Matt A. Peskin. In an effort to heighten awareness and strengthen participation in local anticrime efforts, Peskin felt that a high-profile, high-impact type of crime prevention event was needed nationally. At that time, he noted that in a typical ‘crime watch community’, only 5 to 7% of the residents were participating actively. Due to the growth and success of these programs, he felt this percentage was too low. Subsequently, he proposed a national program which would be coordinated by local crime prevention agencies and organizations - but that would involve entire communities at one time. The first National Night Out was introduced early in 1984 - with the event culminating on the first Tuesday in August. 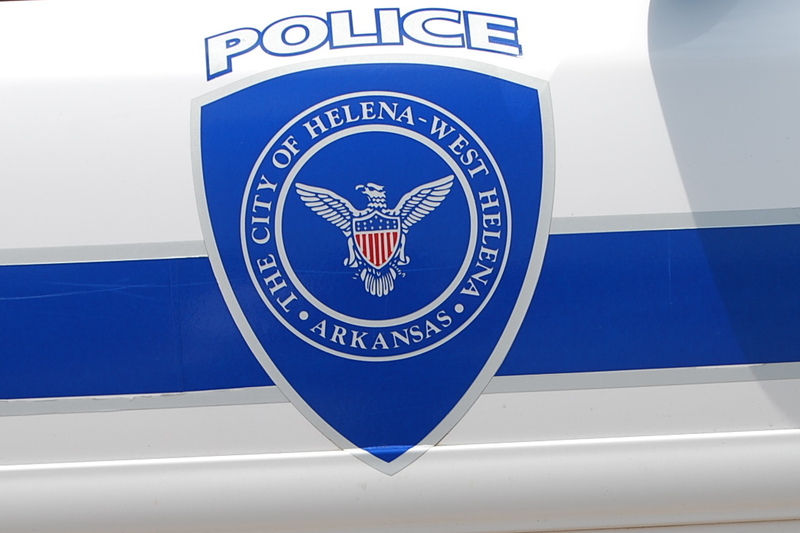 In Helena-West Helena, the police department has been observing National Night Out since August 2008. Under the leadership of then Chief Fred Fielder and Assistant Chief Ronald Scott, the department began to expand its outreach efforts and to seek greater community involvement. Major Ronald Scott has been the point man on these events each of the four (4) years Helena-West Helena has participated. "We are growing year by year," said Major Scott. "We are simply trying to reach out to our community and build strong relationships between neighbors and law enforcement," Scott continued. Evelyn Poole, Office Manager for the police department said "National Night Out is a great way to build strong, and safer communities. Please come and join us." Mr. Ray Price, Chief of Police, has been a strong advocate of the NNO program. Mayor Willis also chimed in with supporting words. He encourages everyone in the community to be watchful and neighborly. Mayor Willis encouraged citizens to turn their front porch lights on in recognition of this national event and one that our community has embraced and plans to expand. Mayor Willis concluded "Yes, We do want to give Neighborhood Crime and Drug Activity at going away party." NNO has proven to be an effective, inexpensive and enjoyable program to promote neighborhood spirit and police-community partnerships in our fight for a safer nation. Plus, the benefits your community will derive from NNO will most certainly extend well beyond the one night. The NNO is a BLOCK PARTY. It is a fun event. The plans for the event include Food, Gifts, Games, Music and Motivational Speakers. The Event takes place Tuesday, August 2, 2011 at 6:00 p.m. at the Cherry Street Pavilion (Stage). National Night Out (NNO) is an annual event where neighbors reconnect with one another. Usually neighbors provide food to share with others or donate gifts to be given to others. Contact Major Ronald Scott or Ms. Evelyn Poole to see how you can get involved in this great event. Mr. Evelyn Poole, Office Manager-HWHPD, 98 Plaza Street, (870)572-3441 (Office). In the words of the songwriter, "We'll see you; We'll see you at the party; That's going on from 6 until." Copyright 2011, The Inside Scoop, All Rights Reserved. Awesome Inc. theme. Powered by Blogger.